Supporting local companies is huge for me. 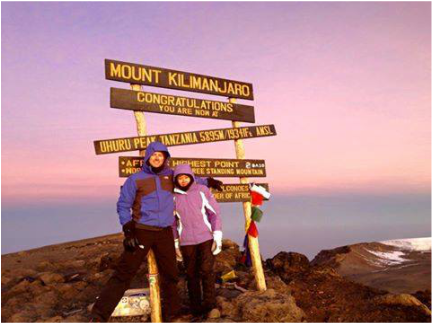 Take the time to read Steve and Tumaini's story on their website. I did a take a risk with a smaller and newer company but I was extremely pleased. Working with a smaller company allowed me to email directly with the owners as I came up with questions and plans. I have a very rigid work structure so setting exact dates was difficult for me. 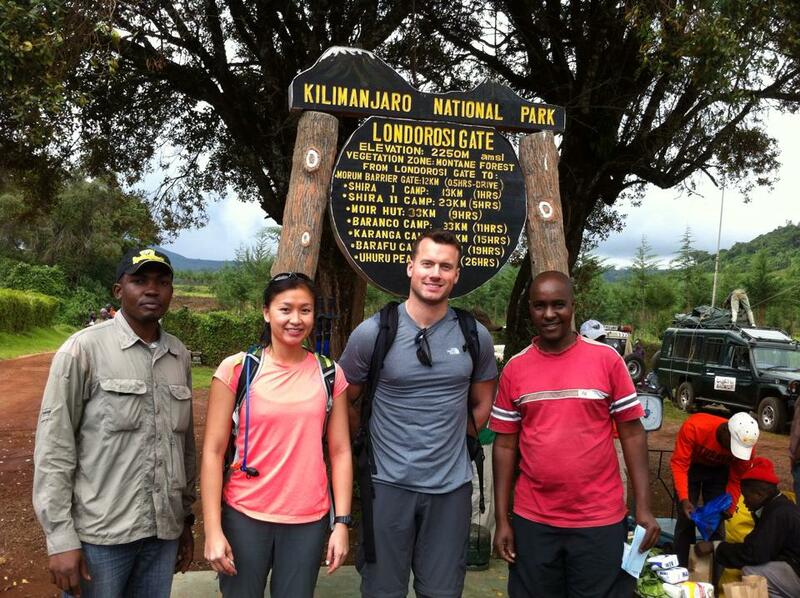 Steven and Tumaini were flexible with me and let me slide my trip dates a few days to accommodate me. They answered my email during the same day despite the time difference no matter how many questions I asked. Tumaini even emailed me from the mountain on his iPhone. We flew into Kilimanjaro airport and were promptly picked up. Our luggage arrived with our flight but make sure that you pack everything you need for the first few days into your carry on. We stayed two nights in the Outpost lodge before climbing Kili and two nights afterwards with a 1 day safari to Tangerine NP post climb. I had an outstanding 7 day climb via the Lemosho route. Our guides were Mike and John. 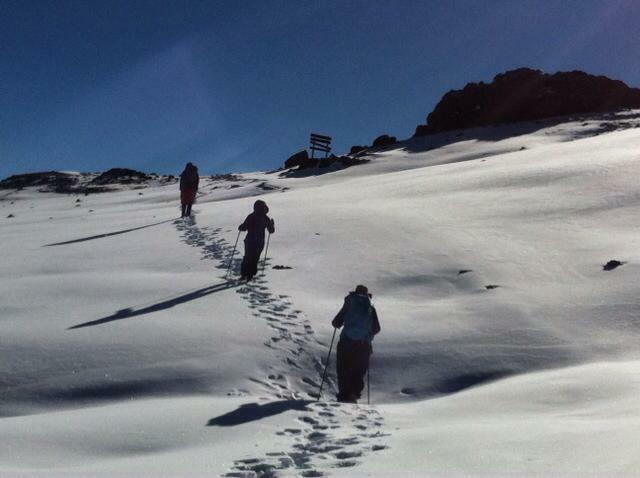 The guides and the support team (porters) made this a trip of a lifetime. The equipment was good. We stayed dry inside our tent even though it rained every day of our climb. The thicker mattress pads ensured that we stayed warm and insulated from the ground. The porters were outstanding. We had the tent set up for us, warm water for washing in the morning and at night, tea/coffee inside the tent every morning. The cook was great. We had more food that we could eat. There was a huge variety of food and it was all well seasoned to help us eat as we lost our appetites with the increasing altitude. Having backpacked a lot, at first the chemical toilet seemed like a ridiculous luxury but having it was extremely convenient when I needed to use the bathroom in the middle of the night in the rain. Having to walk to find the community hole in the ground was not going to happen at 2am. The guides helped us acclimate and answered all our questions. They liasoned between us and the porters and cook. We could not have done this without the amazing team. 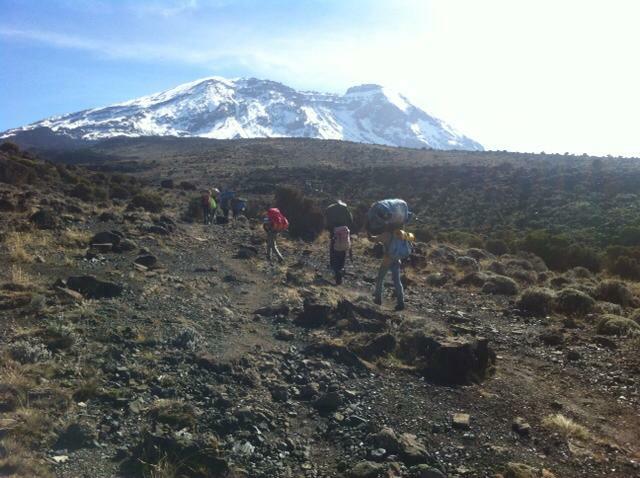 Thank you Majestic Kilimanjaro for an amazing trip. You can read Kristine & Brian's TripAdvisor review here.